Aqua Amazonite Slice Necklace. 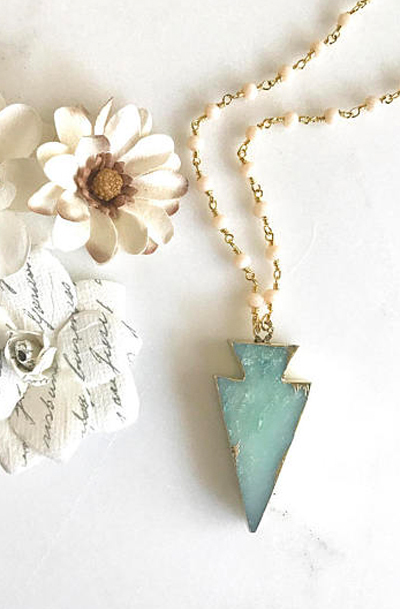 Mint Arrowhead Pendant Necklace. Mint Pink Jewelry. Layering Necklace. Gift. Slice Geode Long Necklace. The chain is 14k gold filled. The beaded chain is beaded gemstone carnelian chain. The stone is natural amazonite and measures about 40mm x 20mm. The necklace is 30" long plus the pendant.